Startups are as vulnerable to fraudulent activity as the most established businesses, in fact they’re arguably more so. The process required to get companies registered with Companies House and properly set up to begin trading makes them a prime target for scammers who are using increasingly sophisticated methods of deception. Many scams involve criminals pretending to be Companies House in a bid to acquire sensitive information about new companies, or even trick them into making bogus payments. Here are 5 known scams to be aware of and some advice on what to do if you believe you’ve been targeted. There have been instances where companies are contacted asking for payment of a late filing penalty over the phone. The caller says they will accept a payment of £5 by credit or debit card to put a block on any further action being taken. At no point will Companies House make an unsolicited call asking for immediate payment of a late filing penalty or request payment of a nominal fee to avert any recovery action. Instead payment plans are set up with the agreement of the manager dealing with your late filing penalty query. There are emails being sent claiming to be from Companies House, which are not. The latest of these bogus emails claims to be a response to an online filing submission. If you have received one of these emails do not open any documents attached to it. Forward any suspicious emails to phising@companieshouse.gov.uk and then delete it. Registered companies are receiving notifications asking for money in order to keep their company on the register. The correspondence being received look like genuine requests from either New Companies Register (Digital), National Register of Companies or the Economic Index for Europe. Please be advised there is no such fee required to keep companies registered at Companies House, and that these organisations are not connected to or associated with Companies House or GOV.UK in any way. Companies House has been informed that there are some pension scams in operation whereby individuals have had limited companies registered in their name. If you believe a company has been fraudulently set up in your name, you should seek legal advice before taking any action to close it. 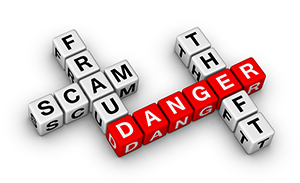 Such scams are being promoted with the promise of bogus incentives such investment opportunity offers, a free pension review, legal loophole, cash bonus or as a government backed scheme and victims are being approached in a number of ways, including door to door. If you do not recognise and trust the source you should treat all approaches about your pension with caution. The Pensions Advisory Service website can help you check whether an offer of service is genuine and the Pensions Regulator also has information for anyone who suspects they might have been targeted by a pension scam. Companies have been contacted by people pretending to be from Companies House, and asked for details of their company’s directors. Official Companies House staff will never ask you to reveal who your officers are over the phone, or request secure information such as authentication codes. If someone claiming to be from Companies House contacts you asking for this information, you should try to get a return phone number and say you’ll call them back before contacting Companies House to report it on 0303 1234 500. The existence of scams that attempt to defraud startups means it’s a good idea to protect your company from corporate identity theft through the Companies House protected online filing (PROOF) scheme. For more details on the PROOF service including how to join, click here.